The Apple III should have been brilliant. Unlike the Apple-1 and Apple II, which were essentially homebrew projects, the Apple III had the full weight of Apple the corporation behind it. The Apple III in all its glory. 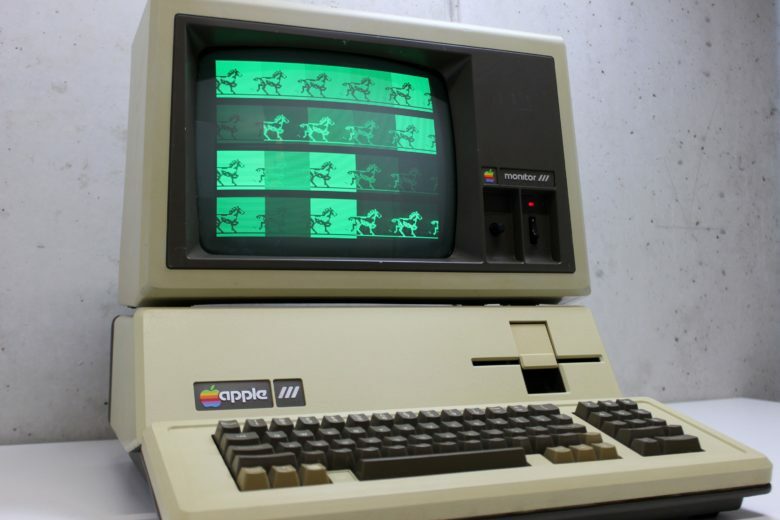 Although sales of the Apple II showed no signs of slowing down, Apple inevitably needed an updated computer to replace it. The early stages of the Macintosh project were already underway, although it was clear the Mac was nowhere near ready to go. All eyes were therefore on the Apple III to become the computer Apple needed. 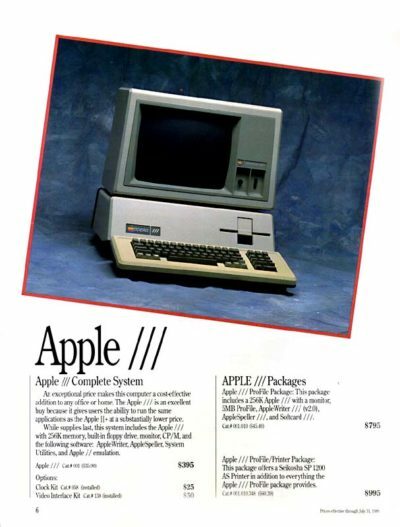 Apple positioned the Apple III as a business computer. The company knew IBM would attract business users with its personal computer. Apple therefore threw everything at the wall to create a computer that could expand Cupertino’s audience to serious business users and home consumers alike. Unfortunately, this resulted in a computer built by committee, with everyone involved promoting their own ideas about necessary features. This feature creep meant that a project Apple wanted finished in 10 months stretched to two years. “Everybody had certain ideas about what the Apple III should do and unfortunately all of them were included,” quipped an Apple engineer at the time. In terms of spec, the original Apple III boasted a 2-MHz SynerTek 6502A processor, a whopping 2KB of ROM and 128KB on-board RAM (256KB in the revised model launched on this day in 1981), and four slots for peripherals. It ran twice as fast as the Apple II. It was also Apple’s first computer to come with a built-in 5.25-inch floppy drive. Given the Apple III’s much-publicized problems, it’s ironic that it ran an operating system called Apple SOS. According to Apple, this stood for Sophisticated Operating System. It wound up influencing the design of ProDOS, used on later Apple II computers. Unfortunately, the Apple III did not become a success when it launched in fall 1980. It supported a limited range of software because it wasn’t backward-compatible with DOS 3.2 and 3.3, which Apple II software tended to use. More seriously, its motherboard overheated, causing its chips to loosen. Combined with other faults, this earned the Apple III poor user reviews. It floundered in the marketplace. The Apple III revised edition, which today’s “Today in Apple history” commemorates, was launched in December 1981. It included upgraded specs and new software. Apple also introduced a ProFile 5Meg external hard drive, although the relaunch didn’t receive much publicity from Apple’s PR firm. Existing Apple III customers probably felt “happiest” about the revised edition. Some 2,000 of them got a new machine as a free upgrade because of problems encountered with the earlier model. Ultimately, the Apple III got one more upgrade (the later Apple III Plus) before Apple ditched it altogether. The Apple III and the Apple Lisa were Cupertino’s two concerted attempts to get into businesses — and the two biggest failures the company suffered during this era. Would it have succeeded had the IBM PC not arrived at the same time with a lower price point? Perhaps, but the Apple III had a lot of problems that would have made success a challenge either way. Do you remember the Apple III? Leave your comments below.